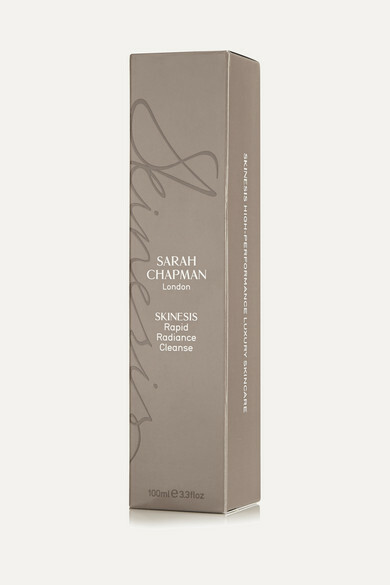 "An instant wake up call to sleepy skin," is how Sarah Chapman describes her multitasking facial cleanser - it's perfect for complexions that are dull, congested or in need of a radiance boost. This daily treatment is formulated with brightening clays and pore-clearing enzymes that fade pigmentation, reduce buildup and minimize the appearance of lines. The cooling, creamy texture is packed with vitamins and oils that boost the suppleness of your skin and prevent moisture loss.